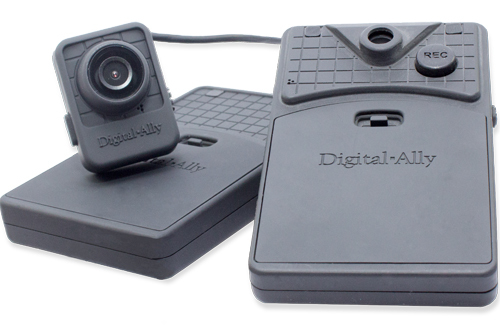 Digital Ally, which develops, manufactures and markets advanced video surveillance products for law enforcement, homeland security and commercial applications, today announced that it has been awarded a significant new patent by the U.S. Patent Office. The U.S. Patent Office issued U.S. Patent No. 9,712,730 (the “ ‘730 Patent”) for a Portable Video and Imaging System. The ‘730 Patent is in the same family of patents that covers Digital Ally’s FirstVu body-mounted camera. The ‘730 Patent is specifically directed to the feature of a portable video camera that can be mounted on or carried by a law enforcement officer or mounted in a law enforcement vehicle. When a button on the camera is pressed by the officer, the video recording captured by the camera is “marked.” Upon playback of the captured video recording, law enforcement personnel can quickly advance the video recording to the marked location in the recording. This feature is especially helpful when law enforcement personnel need to review the video recording quickly or identify points in the video recording of interest to the on-site officer.